This entire blog or website, mcneilmason.wordpress.com, is dedicated to illustrating the extreme measures that judges at the Eleventh Circuit, U.S. Court of Appeal have deployed to keep from disciplining U.S. District Judge Donald L. Graham, “Teflon Don”, for abusive behavior and misconduct. Judge Graham has a history of insolence with respect the United States Supreme Court and binding precedent. See this site, “Is U.S. Dist. 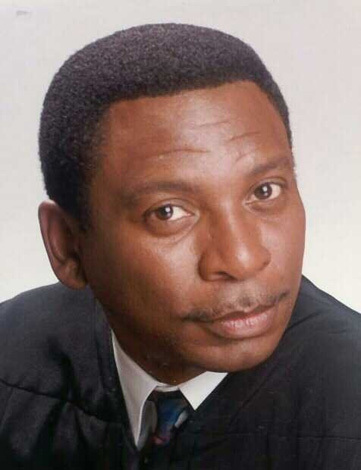 Judge Donald L. Graham Willfully Defying The United States Supreme Court?“. Chief Judge J.L. Edmondson uses the perfect scam to defeat claims of judicial misconduct under the Judicial Misconduct and Disability Act, 28 U.S.C. § 351, et.seq. The perfect scam is a “negative definition” of judicial misconduct. A negative definition is a “definition which states what a thing is NOT rather than what it is.” http://academic.csuohio.edu/polen/LC9_Help/2/25negative.htm. Plaintiff shall be prohibited from contacting any of the Defendants, including their supervisory employees and/or the individual Defendants, regarding any matter related to this case. (DE #201). This order is dated June 19, 2000. Plaintiff shall correspond only with Defendants’ counsel including any requests for public records. (DE #246). This order is dated July 25, 2000. It refuses to discuss whether these orders are really injunctions. There is no definition of an injunction and why these orders don’t fit within the definition of an injunction. The term prior restraint is not used. Mason’s right’s under the first amendment is not discussed. The validity of these orders are not discussed in any manner. In a word, the Eleventh Circuit simply refuses to discuss the validity of these orders while it was quite willing to discuss Mason’s alleged violations of these patently illegal orders. This post is a part of the overall scheme to land a knockout blow to the American Bar Association’s koolaid of “Judicial Independence”. The ABA’s emphasis is on “Judicial Independence” and it resists “interference” from outsiders-Congress of the United States, Layman review boards. The ABA has said: “There are checks on the judiciary and channels to correct improper decisions. The appeal process affords litigants the opportunity to challenge a judicial ruling.” About Us – ABA Standing Committee on Judicial Independence. What happens if the appeals courts disregards the rule of law? This is the idealistic and theoretical basis for “Judicial Independence”; however, the reality or actual practice does not equal the ideals. Suppose for a moment that such a system does not work. Federal Judges will take extreme measures to avoid disciplining a colleague federal judge. See Eleventh Circuit Case No. 01-13664: The Appeal From Hell for even more dishonest jurisprudence. Moreover, the Eleventh Circuit will do anything to achieve the desired outcome. Two posts at this site, mcneilmason.wordpress.com, document how the Eleventh Circuit will do anything to achieve the desired outcome as the Eleventh Circuit took two different and inconsistent positions with respect to the jurisdiction of the lower court or Judge Graham during the appeal of this very appeal. See Eleventh Circuit: Notice of Appeal Does Not Divest District Judge of Jurisdiction of Matters Involved In the Appeal! and Putrid Dishonesty:Beyond the Scope of Appeal. “The Judicial Improvements Act of 2002” formerly “The Judicial Misconduct and Disability Act“. Previously, Chief Judge J.L. Edmondson, had been misconstruing the statute and summarily dismissing complaints of misconduct by simply regurgitating the statutory language at 28 U.S.C. § 352 which allows him to dismiss complaints that are “directly related to the merits of a decision or procedural ruling“. Misconduct and Disability Act . Judge Donald L. Graham (1992), Judge Stanley F. Birch, Jr. (1990), and Hon. Susan H. Black(1992) are appointments of President George H.W. Bush. Judge Stanley Marcus is a 1997 appointment of President William J. Clinton. This is the first case to be heard by the United States Court of Appeals for the Eleventh Circuit, established October 1, 1981 pursuant to the Fifth Circuit Court of Appeals Reorganization Act of 1980, P.L. 96-452, 94 Stat. 1995, and this opinion is the first to be published by the Eleventh Circuit. Under P.L. 96-452 the United States Court of Appeals for the Fifth Circuit was divided into two circuits, the Eleventh and the “new Fifth.” This court, by informal agreement of its judges prior to October 1, 1981, confirmed by formal vote on October 2, 1981, has taken this case en banc to consider what case law will serve as the established precedent of the Eleventh Circuit at the time it comes into existence. We hold that the decisions of the United States Court of Appeals for the Fifth Circuit (the “former Fifth” or the “old Fifth”), as that court existed on September 30, 1981, handed down by that court prior to the close of business on that date, shall be binding as precedent in the Eleventh Circuit, for this court, the district courts, and the bankruptcy courts in the circuit…The old Fifth followed the absolute rule that a prior decision of the circuit (panel or en banc) could not be overruled by a panel but only by the court sitting en banc. The Eleventh Circuit decides in this case that it chooses, and will follow, this rule. En banc, in banc, in banco or in bank is a French term used to refer to the hearing of a legal case where all judges of a court will hear the case, rather than a panel of them. It is often used for unusually complex cases, or cases considered of unusual significance. Appellate courts in the United States sometimes grant rehearing en banc to reconsider a decision of a panel of the court (a panel generally consisting of only three judges) where the case concerns a matter of exceptional public importance or the panel’s decision appears to conflict with a prior decision of the court...Cases in United States Courts of Appeals are heard by a three-judge panel. A majority of the active circuit judges may decide to hear or rehear a case en banc. Parties may suggest an en banc hearing to the judges, but have no right to it. Federal law states en banc proceedings are disfavored but may be ordered in order to maintain uniformity of decisions within the circuit or if the issue is exceptionally important. Each court of appeals also has particular rules regarding en banc proceedings. Only an en banc court or a Supreme Court decision can overrule a prior decision in that circuit; in other words, one panel cannot overrule another panel. See http://en.wikipedia.org/wiki/En_banc. A three judge panel decision or opinion binds all other subsequent appellate panels except an en banc court or the United States Supreme Court. The Eleventh Circuit has stated: “Under our prior precedent rule, a panel cannot overrule a prior one’s holding even though convinced it is wrong. See, e.g., Cargill v. Turpin, 120 F.3d 1366, 1386 (11th Cir.1997) (‘The law of this circuit is ’emphatic’ that only the Supreme Court or this court sitting en banc can judicially overrule a prior panel decision.’ ‘[I]t is the firmly established rule of this Circuit that each succeeding panel is bound by the holding of the first panel to address an issue of law, unless and until that holding is overruled en banc, or by the Supreme Court. '” United States v. Steele, 147 F.3d 1316, 1317-18 (11th Cir.1998) (en banc). Marcellus M. Mason, Jr. of Sebring, Fl. filed an employment discrimination lawsuit against the Highlands County Board of County Commissioners and the Heartland Library Cooperative and other governmental entities and their individual government employees in February 1999. See Docket Sheet. This case was ultimately assigned to Judge Donald L. Graham, “Teflon Don”, and Magistrate Frank Lynch Jr., Case No. 99-14027-CV-Graham/Lynch. After protracted litigation, the case was dismissed, not on the merits of the case, but based upon banned and irrelevant out of court and constitutionally protected and legal communications between Highlands County and Mason. See “R&R” (D.E. 766), Order adopting R&R (D.E 791). See Banned Communications. On June 13, 2000 , the Government Defendants through their attorneys, Maria Sorolis and Brian Koji, filed a “DEFENDANTS’ MOTION FOR PRELIMINARY INJUNCTION, (D.E. 199)” which specifically requested: “Defendants move the Court for an injunction prohibiting Plaintiff from contacting any of the Defendants and/or their supervisory employees…“. Defendant’s counsel, Maria Sorolis and Brian Koji, cited no legal authority for the requested relief. Judge Graham has expressly stated that the issuance of these injunctions by Magistrate Judge Frank Lynch, Jr. was not “clearly erroneous nor is it contrary to law.” See Docket Entry No. 407. However, Congress and the law disagree as the law expressly states that: “Notwithstanding any provision of law to the contrary— a judge may designate a magistrate judge to hear and determine any pretrial matter pending before the court, except a motion for injunctive relief…,” 28 U.S.C. § 636(b)(1)(A). Judge Graham has NEVER at any time cited legal authorities for these patently illegal orders even though there have been relentless requests. See for example, and note that this list is not collectively exhausted, Case No. 99-14027 see Plaintiff’s motions and responses, (Doc.#200);(Doc. #239); (Doc. #262);(Doc. #264);(Doc. #284);(Doc.#334);(Doc. #509);(Doc. #515);(Doc. #526);(Doc. 554);(Doc. 632, pg.5);(Doc.#633);(Doc. 652);(Doc. 663); (Doc. 735); (Doc. 736); (Doc.738); (Doc. 783); (Doc. 787, pgs 2-3); (Doc. 810); (Doc. 812); (Doc.813); (Doc. 817); (Doc. 829), (Doc. 845);and the court’s orders: (DE #201), (DE #246);(Doc. #279);(Doc. 281);(Doc. #407);(Doc. #524);(Doc. #528);(Doc. #634);(Doc. 673);(Doc. 744);(Doc. 745);(Doc. 766);(Doc. 791);(Doc. 874, pg. 2);(Doc. 882, pgs. 1-2); (DE-890); (DE-928);(DE-931). On March 2, 2001, Highlands County Board of County Commissioners attorneys, Allen, Norton & Blue, filed a “DEFENDANTS’ MOTION FOR SANCTIONS IN THE FORM OF DISMISSAL OF PLAINTIFF’S ACTION AND SUPPORTING MEMORANDUM OF LAW“. See Docket Entry No. 511. This motion sought dismissal of the lawsuit due to alleged out of court communications with the Highlands County Government in violation the injunctions mentioned above, (DE #201) and (DE #246). On April 9, 2001, the Defendants’ filed a second motion for sanctions in the form of dismissal of Plaintiff’s lawsuit for more alleged out of court communications between Mason and the Highlands County Government. See Docket Entry No. 646. On May 31, 2001, the Magistrate, Frank Lynch, Jr., prepared a Report and Recommendation, “R&R”, (D.E. #766), recommended that the lawsuit be dismissed because of these out of court communications between Mason and his local government, Highlands County Board of County Commissioners. Judge Graham accepted this R&R in whole with no changes or comments. See (D.E. #791). See Report and Recommendation, (D.E. #766, pg. 3, ¶5). This case was closed on June 20, 2001. The Case was closed on June 20, 2001. Docket Entry No. 791. A Notice of Appeal was filed on June 25, 2001. ( Docket Entry 795). District Case No. 99-14027-CV-Graham was assigned Eleventh Circuit Case No. 01-13664. Consequently, the court never reached the merits of the lawsuit as there were motions for summary judgments pending when the case was closed. See Docket Sheet.. Defendant’s motion for summary judgment, (Doc. 769);(Doc. 770), and the Plaintiff’s motion for summary judgment as well, (Doc. 507); (Doc. 667); (Doc. 668); (Doc. 706); (Doc. 797). The Eleventh Circuit scrupulously and meticulously avoids using the word injunction or prior restraint in their opinion. The Eleventh Circuit admits the validity of the orders, (D.E. #201) and (D.E. #246), in question were being challenged on appeal. On appeal, Mason argues that the magistrate’s discovery orders enjoined him without legal authority and violated his First Amendment and Florida state law rights to petition Florida government officials and to request public records. “An injunction is a coercive order by a court directing a party to do or refrain from doing something, and applies to future actions.” Ulstein Maritime, Ltd. v. United States, 833 F.2d 1052, 1055 (1st Cir. 1987). “The term ‘injunction’ in Rule 65(d) is not to be read narrowly but includes all equitable decrees compelling obedience under the [**9] threat of contempt.” Consumers Gas & Oil v. Farmland Indus., 84 F.3d 367, 370 (10th Cir. 1996)(citing 11A Wright, Miller & Kane, Federal Practice and Procedure § 2955, at 309 (1995)). “A judicial order that prevents a statute, regulation, or administrative decision from taking effect is an injunction and must be justified under the standards commonly used to evaluate judicial interference with the decisions of the political branches of government.” Ill. Bell Tel. Co. v. Worldcom Techs., 157 F.3d 500 (7th Cir. 1998). It prohibited appellant from “discussing, directly or indirectly, settlement . . . with the plaintiffs” and from “contacting, communicating, or in any way interfering with the attorney-client relationship”. What the District Court in effect enjoined was a settlement between the parties, however amicably reached, if the claimants’ attorneys were not consulted. This was too sweeping a restraint by the lower court. On 19 June 2000, the magistrate judge issued discovery order prohibiting Mason from contacting the defendants… See Opinion, pg. 3. On appeal, Mason argues that the magistrate’s discovery orders enjoined him without legal authority and violated his First Amendment and Florida state law rights to petition Florida government officials and to request public records. See Opinion, pg. 3. Judge Graham’s Magistrate, Frank Lynch, Jr. , who issued the orders never called them “discovery orders”. The Magistrate in granting the Defendant’s Motion for a Preliminary Injunction characterizes his order thusly: “this Court is considering this Motion as a pretrial discovery issue and not an injunction issue per se” See (DE #201). Similarly, on July 25 in granting the Defendants’ Renewed Motion For Preliminary Injunction, (D.E. #231) The Magistrate use the same characterization: “this Court is considering this issue as a pretrial discovery issue and not an injunction issue per se…” See (DE #246). On appeal these orders these orders are attacked by Mason the Appellant as illegal injunctions that violate his “free speech” rights. These orders, (Doc. 201) and (Doc. 246), “preliminary injunctions” are invalid because this issue was not referred to the Magistrate pursuant to 28 U.S.C. § 636(b)(1)(A). See Initial Brief, pg. 6. A Magistrate does not have the legal authority to issue an injunction. See Initial Brief, pg. 6. The district court punished the Plaintiff for exercising his right of “free speech” by dismissing this meritorious lawsuit. Plaintiff has a clear right to communicate with his government about the matters in this controversy, litigation notwithstanding. “Heartland moved to enjoin Mason from contacting them… ” See Opinion, pg. 3. “Heartland renewed their motion based on Mason’s continued contact with them…” See Opinion, pg. 3. “On 25 July 2000, the magistrate judge granted Heartland’s motion…” See Opinion, pg. 3. (DE #246).This order is dated July 25, 2000. Judge Graham has expressly stated that the issuance of the injunctions by Magistrate Judge Frank Lynch, Jr. was not “clearly erroneous nor is it contrary to law.” See Docket Entry No. 407. [T]he Plaintiff shall be prohibited from contacting any of the Defendants, including their supervisory employees and/or the individual Defendants, regarding any matter related to this case. Plaintiff shall correspond only with Defendants’ counsel. “The term “prior restraint” describes orders forbidding certain communications that are issued before the communications occur. “ . Temporary restraining orders and permanent injunctions — i. e., court orders that actually forbid speech activities — are classic examples of prior restraints.” Alexander v. United States 509 U.S. 544,550 (1993). “Prior restraint has traditionally been defined as a “predetermined judicial prohibition restraining specified expression…” Bernard v. Gulf-Oil Co., 619 F.2d 459, 476 (5th Cir. 1980). “A prior restraint is generally judicial rather than legislative in origin, although an enabling statute may authorize the judicial suppression of publication. The essence of prior restraint is that it places specific communications under the personal censorship of the judge.” id at ¶22. “Prior restraints are “administrative and judicial orders forbidding certain communications when issued in advance of the time that such communications are to occur.” Test Masters at ¶45, infra. According to the United States Supreme Court, a prior restraint comes to the Court with a heavy presumption against its validity. New York Times Co. v. United States, 403 U.S. 713, 714 (1971). This presumption is so strong it has been described a virtually insurmountable. In re Providence Journal Company, 820 F.2d 1342 (1st Cir. 1986)(“pure speech–speech not connected with any conduct–the presumption of unconstitutionality is virtually insurmountable.”). This presumption is so strong that the Supreme Court has refused to uphold prior restraints even where national security, id. at ¶21, and the defendant’s sixth amendment right to a fair trial have been involved, id. at ¶22. In over two hundred years, the U.S. Supreme Court composed of nine Article III Judges, has never upheld a prior restraint on pure speech, In re Providence Journal Company, supra,, however, a mere Magistrate, Frank Lynch, Jr, issues these injunctions with ease. [T]he district court’s injunction order enjoined Singh from communicating directly with, threatening, or harassing Test Masters Educational Services, Inc., its employees, its staff, or TES’s counsel, counsel’s employees, or counsel’s staff. The district court’s injunction was prompted by allegations from TES that Singh and his employees had called TES dozens of times a day, including seventy-one times on one day in May 2003. TES alleged that the calls included the screaming of obscenities. This order prohibited communications between the parties, like the “discovery order” in this matter, was declared by the Testmasters Court to be a prior restraint. Id. at ¶45. Moreover, the Testmasters Court held that even an acrimonious and hostile relationship between the parties would not justify a prior restraint. On appeal, Mason argues that the magistrate’s discovery orders enjoined him without legal authority and violated his First Amendment and Florida state-law rights to petition Florida government officials and to request public records. Moreover, the magistrate judge and district court attempted to clarify with Mason that the Orders were not injunctions, but rather necessary for the orderly litigation of the case. See Opinion. However, the en banc decision of the Eleventh Circuit, Bernard v. Gulf-Oil Co., 619 F.2d 459, 476 (5th Cir. 1980), expressly rejected this line of reasoning for issuing a prior restraint. “[T]he general presumption against prior restraints is not mitigated by a claim that the fair and orderly administration of justice is at stake.” In addition to the above, the Eleventh Circuit also disregarded Bernard v. Gulf-Oil other holdings. The expression that is restrained is protected. id at ¶39. “Material unequivocally not protected by the Constitution may be the subject of a prior restraint if sufficient procedural safeguards are provided. This possibility does not exist in the present case because the communications proscribed by the order are constitutionally protected.” id at ¶40. In this matter, the Eleventh Circuit refuses to recognize Mason’s right to communicate with the government about any subject without restriction. A prior restraint comes with a heavy presumption against its constitutionality and imposes on the issuing court rigid requirements to justify prior restraints. The prior restraint must prevent direct, immediate and irreparable damage, and it must be the least restrictive means of doing so. id at ¶47. Neither Judge Graham nor the Eleventh Circuit attempt to make such a showing. Congress has undoubted power to regulate the practice and procedure of federal courts, and may exercise that power by delegating to this or other federal courts authority to make rules not inconsistent with the statutes or constitution of the United States; but it has never essayed to declare the substantive state law, or to abolish or nullify a right recognized by the substantive law of the state where the cause of action arose, save where a right or duty is imposed in a field committed to Congress by the Constitution. On the contrary it has enacted that the state law shall be the rule of decision in the federal courts. We are reminded by the Erie opinion that neither Congress nor the federal courts can, under the guise of formulating rules of decision for federal courts, fashion rules which are not supported by a grant of federal authority contained in Article I or some other section of the Constitution; in such areas state law must govern because there can be no other law.